Hosting a drive is fun and easy. We’ll do most of the work. For starters – we’ll send you our collection barrel along with a return label to ship us back the barrel once the drive is over. Please save the shipping box as you’ll use this to ship us back the (hopefully) full barrel. We’ll also give you literature that you can customize to promote the drive and a sample Press Release you can use to let your community know you’re holding a drive for Secure the Call. All we ask of you is that you do your best to let everyone know that the drive is on. Almost everyone has an old phone sitting in a drawer or closet that they’ll never need. And if they don’t have a phone to donate but they still want to help – they can always donate money to Secure the Call. We’re an all-volunteer organization that runs the program on fumes. But we do have a few small monthly expenses. So everyone can help. The majority of our phones come from Permanent Collection Sites. Examples include Whole Foods Markets, ShopRite, Navy Federal Credit Union and hundreds of other locations. These are the sort of places that have constant high traffic and high repeat visits. These are the best sort of places for permanent collection sites. Generically, we look to place these permanent barrels anyplace that enjoys high traffic and repeat visits. Because the sponsor here is agreeing to leave the barrel in a high visibility location, (vestibule locations are best) we bear all the expense. All we ask of permanent sponsors is that they check the barrel periodically to see if it’s full and swap it out with the replacement barrel we send them when it is. Again, instructions are on the shipping box. We take care of shipping, boxes and shipping labels, all they have to do is follow the easy instructions. Please join over 200 people that call themselves Secure the Call volunteers. There are lots of ways you can help. For starters, you could help us find some suitable locations where we can place a permanent barrel. Maybe your local Police Stations or your local libraries. Or your favorite grocery store. Once you’ve helped us find some locations, you can then keep an eye on it. Let us know when it’s full and help us replace it with a new one. You can also help us by locating additional community organizations that could use our 911 emergency-only phones. Find a local Senior Citizen Center or a Domestic Violence Shelter that could use our free services. We never charge anyone for the phones we give away and even pay for the shipping. Secure the Call is an all-volunteer organization. We have no paid employees at the home office. Please volunteer and help make sure that anyone that needs a phone – will get a phone from us. 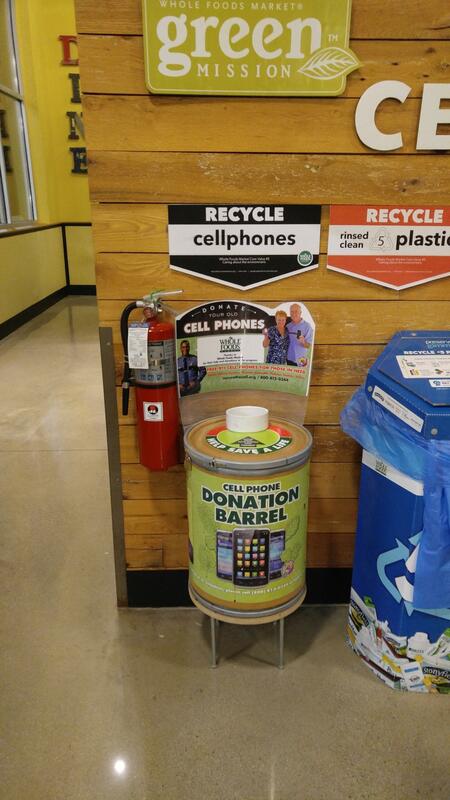 While we always need more used cell phones, we also need more help giving them away. There are a host of agencies that “rub shoulders” with domestic abuse victims, senior citizens or others who lack ready access to 911 emergency services. Most of these entities are Abuse Shelters, Law Enforcement Agencies, or Senior Citizen Centers. People that work for one of these agencies that help us distribute cell phones are what we call our Community Partners. If you work at an agency like this, or any agency or institution that deals with people in need—with no convenient way to summon 911 emergency services—we can use your help. We now need more community partners around the country to help us distribute cell phones to those in need. If this sounds like you and your organization, and you’re willing to be the go-to person for people in your area that need help with access to emergency services, let us provide you with the cell phones you require. We’ll do all the work. Copyright © SecuretheCall.org | All Rights Reserved.